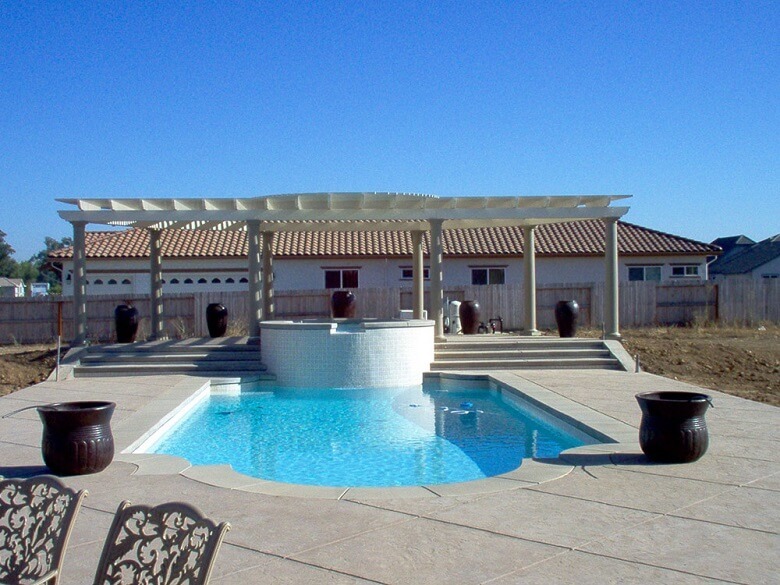 Aluminum shade structures in San Diego or Riverside county. 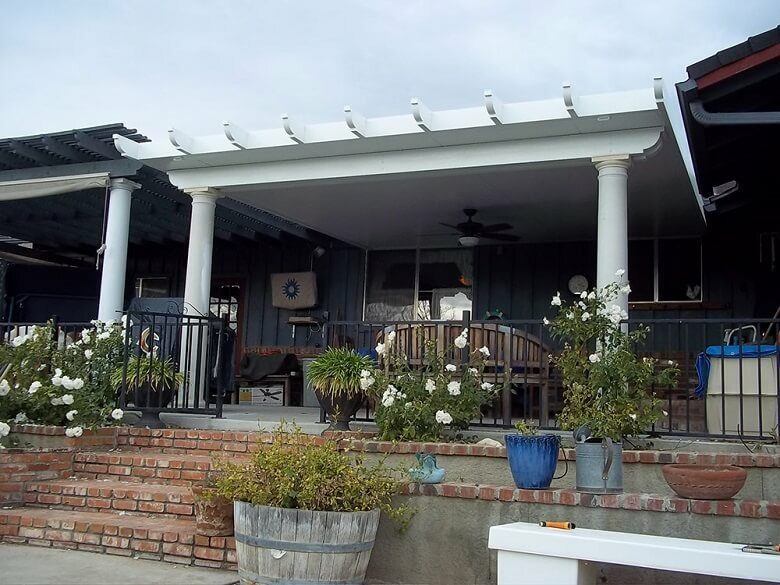 Commonly referred to as Duralum, J&W Lumber offers a high quality aluminum Weatherwood patio covers in several styles that will best meet your shade/ weatherproofing needs. 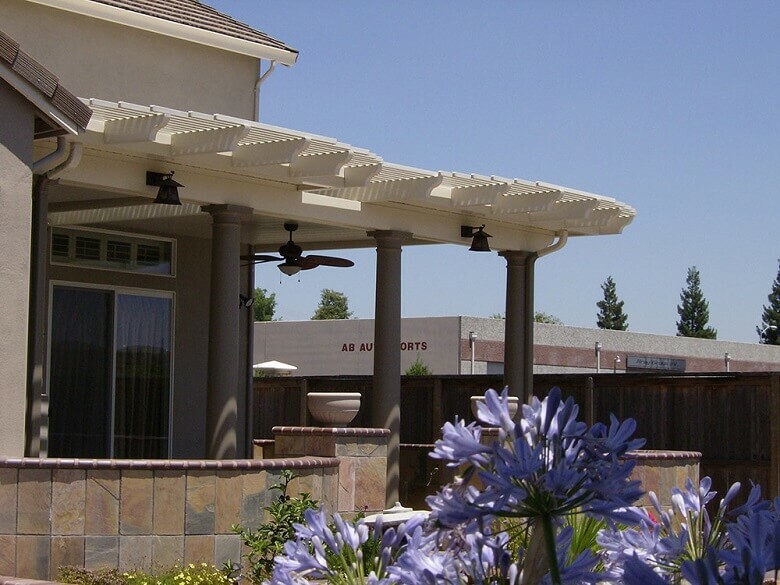 Designing your Weatherwood patio cover shade structure is fun and actually quite simple! 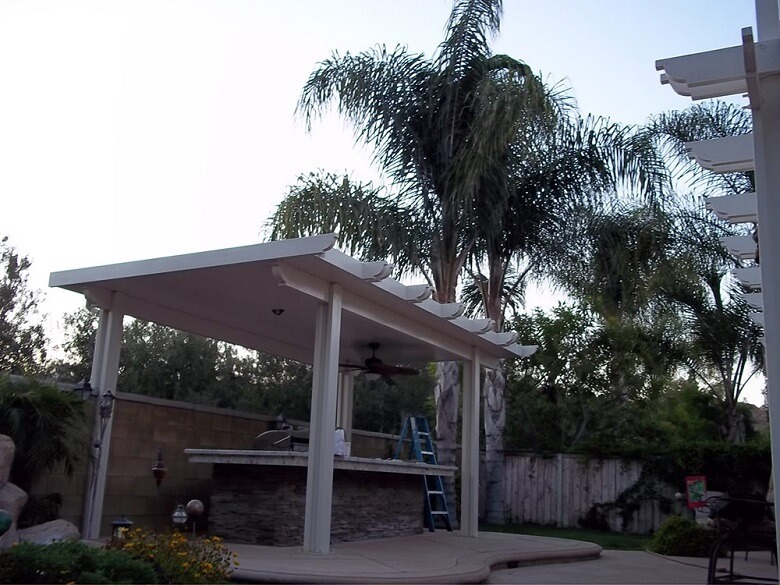 Whether you’re installing your Weatherwood patio cover in Temecula, Murrieta, San Diego county, or anywhere in southern California come to J&W Lumber and we’ll help you with your shade structure project. 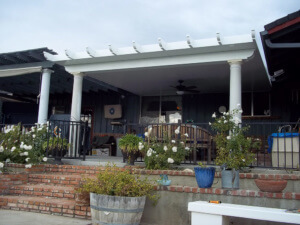 The Californian Patio Cover is a solid roof cover, with total protection from the sun and weather proof from the rain. 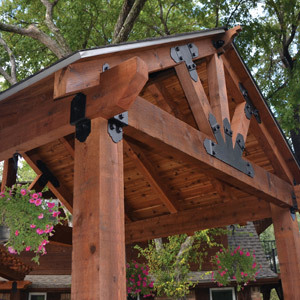 You have your choices of either the traditional “strait look”, or customize your look with Weatherwood® rafter tails. 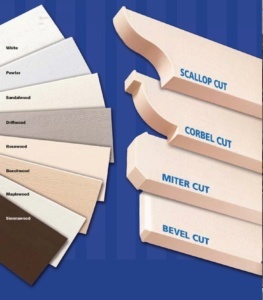 You can choose from a variety of Rafter Tail options that will match the style your trying to achieve. 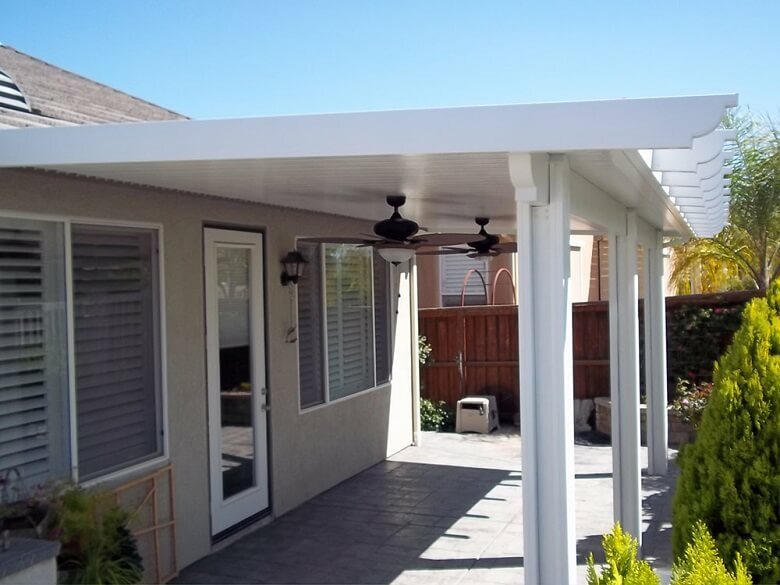 Phoenix Lattice Patio Covers will remain beautiful and durable for the lifetime of your home. 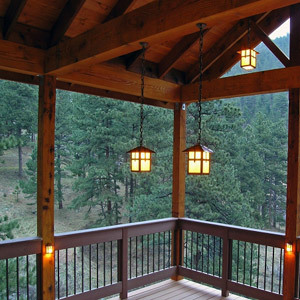 These traditional style pergolas that allow for shade while providing openness for air flow. 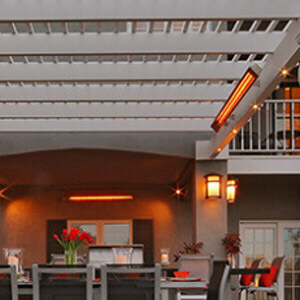 Showcase a sophisticated style and design with lattice. 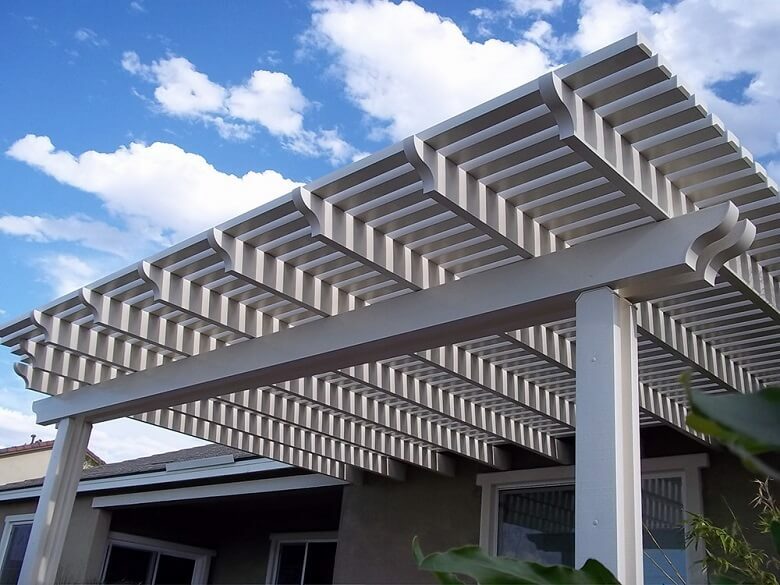 The Phoenix line of Lattice Covers offers you the flexibility of design options and color choices backed with the best warranty in the industry. 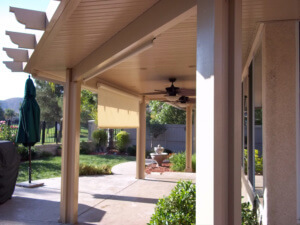 The Monterey Insulated Patio Cover is Designed to not only give you that shade, but also gives you total insulation against the sun’S heat, and cold weather. 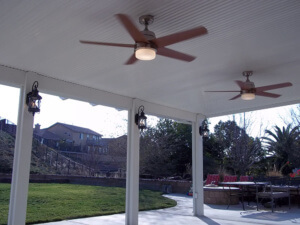 Optional ceiling fans and lighting can be added to your design. 2. 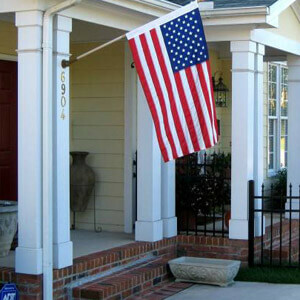 Free standing or attached to your building? A ledger board attaches your cover to your home, garage, or other building. 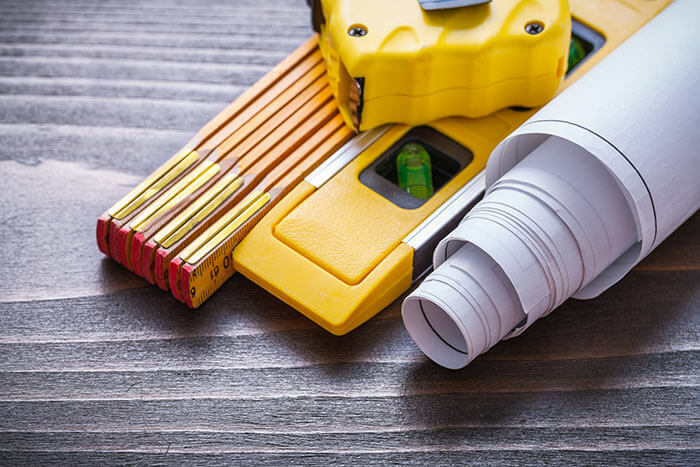 Decide if you will install the cover yourself or if you will hire a professional contractor. 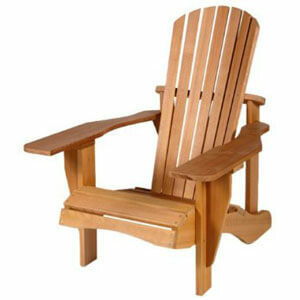 CALL OR STOP BY J&W LUMBER TODAY! Determine the live load requirement and the local wind speed.